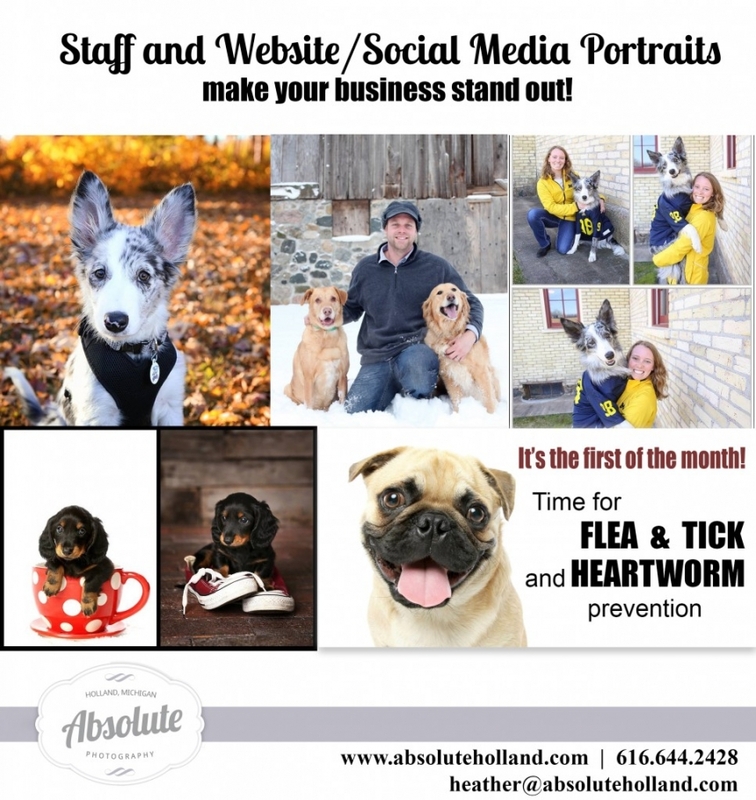 My name is Heather and I own Absolute Photography in Holland, MI. I have been in business for 20 years, am insured and have a lot of experience handling animals (my husband is a vet tech and we have a small zoo at home- in fact, friends of ours do own a zoo and I have photographed their animals as well!). If you are ever in need of updated photographs of your staff (either with or without their animals) for use on your website or social media, I would love to hear from you! I can also provide custom professional portraits of everyday “work” — your vets and techs in an appointment setting, during surgery or dentals, and front desk staff interacting with clients. Please do not hesitate to contact me if you have any questions or would like a quote for services. I look forward to hearing from you. Happy New Year!